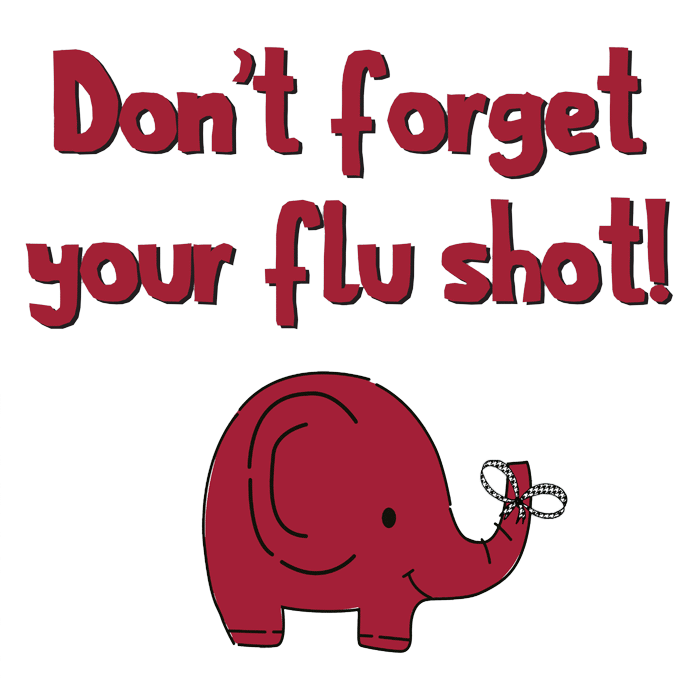 The College of Community Health Sciences leads The University of Alabama’s annual campus-wide effort to vaccinate students, faculty and staff against the flu. The shots are free to students, faculty, staff and spouses; insurance is not required. In addition to the locations below, faculty and staff can visit the Faculty-Staff Clinic at University Medical Center for their free flu shot, and students can visit the Student Health Center. Please note that the flu shots are given in public locations; you may be in photographs.